We have been honored to call this man our Brother. The condolences of Theta Chi’s extended worldwide family are offered to the family and friends of our deceased brother. Eugene “Gene” R. Raup, passed away peacefully on March 7, 2019 at the age of 100 years, at his residence at Medford Leas, Medford ,NJ. Husband of the late Edna M. (nee Plass). Father of Neil B. Raup, Nancy J. (Raup) Sullivan and Jonathan T. Raup. Also survived by 9 grandchildren, 3 great-grandchildren. A private interment will take place at the Westfield Friends Cemetery, Cinnaminson, NJ. Memorial service will be held on Monday March 18th2019 at 1:30PM in the Holly Room at Medford Leas, Medford NJ. In Lieu of Flowers, Memorial contributions may be made to the PYM Greenleaf Fund, 1515 Cherry Street, Philadelphia, PA 19102 Please Note: In Memory of Eugene R. Raup on check. 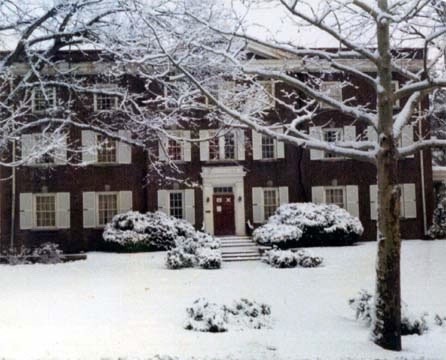 Omega Chapter at Penn State University was installed on March 14, 1919. 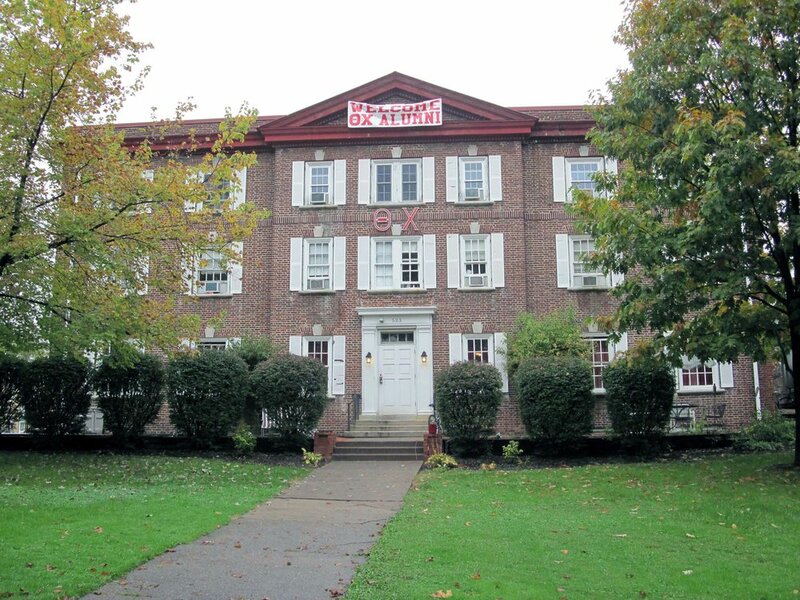 The installation brought Theta Chi’s third chapter located in the Commonwealth of Pennsylvania. 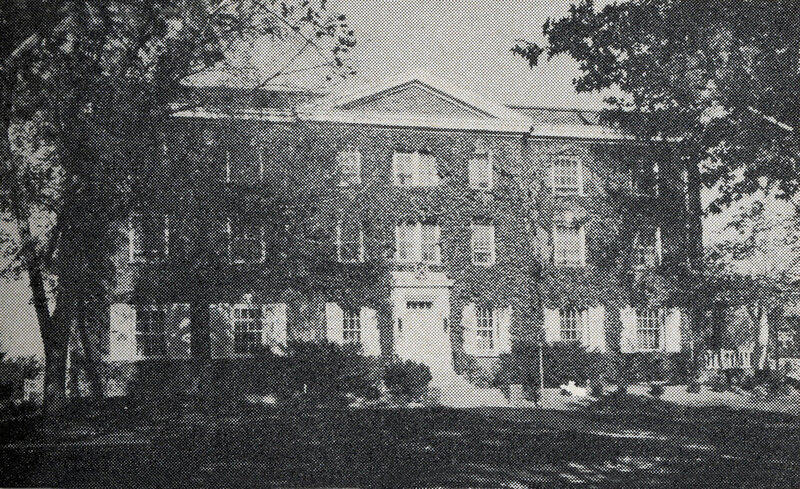 Penn State, located in State College, began in 1855 as The Farmers’ High School. 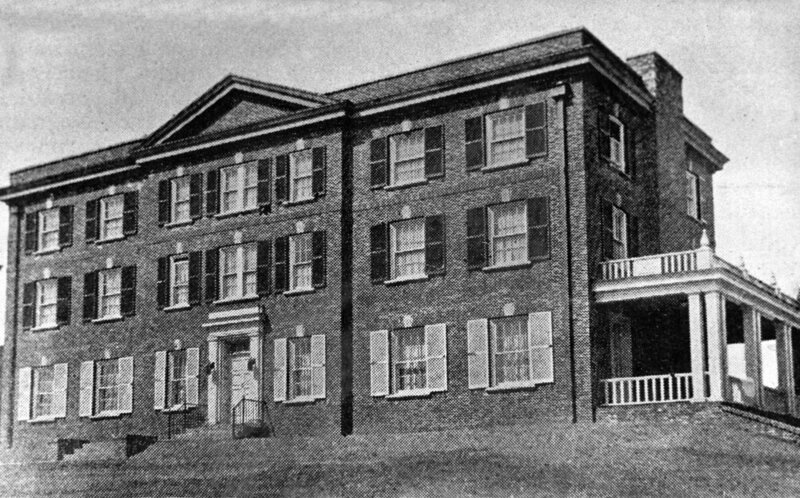 In 1862 it became the Agricultural College of Pennsylvania and finally in 1874 the Pennsylvania State College. 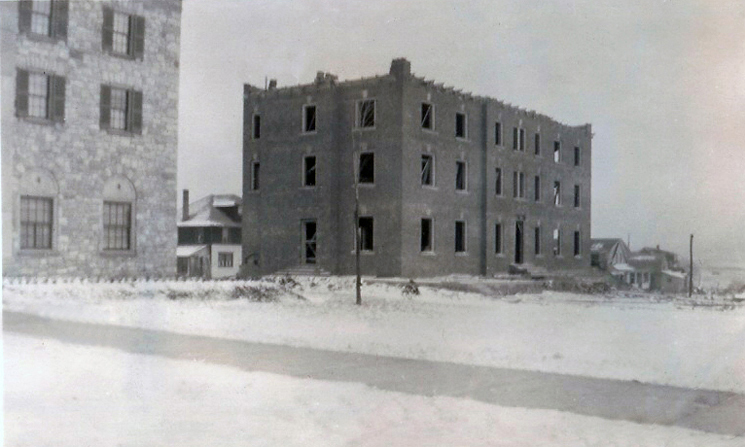 The college was established in accord with the Morrill Act making military training mandatory for practically all male students. State College, a town of 2500 people, is located almost in the geographical center of the State of Pennsylvania. 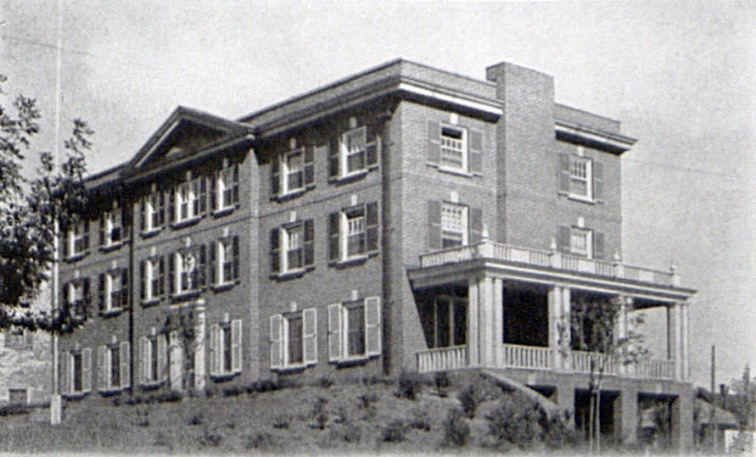 In the Spring of 1915, a group of young men who were members of the Philadelphia Northeast High School Club of The Pennsylvania State College met with the purpose of forming an organization that would perpetuate certain ideals and standards in which these students believed. 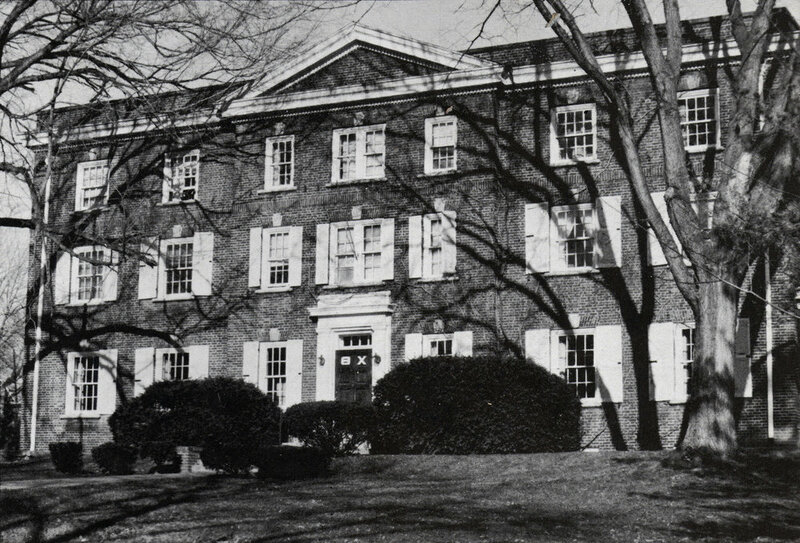 At the opening of the college year in 1915, the Northeast Club was established on a local fraternity basis. New members were selected with the greatest care and were of the highest type. By the Fall of 1917 the Club was well established and strong bonds of friendship existed among its members. Fully realizing that greater advantages could be gained by closer association with the fraternities of State College, action was taken to change the character of the organization to that of a local fraternity. 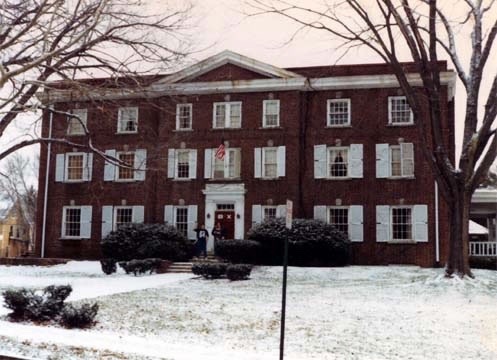 On February 23, 1918, permission was granted by the fraternity committee of the General Faculty, and the Northeast Club became the Phi Tau Alpha Fraternity. 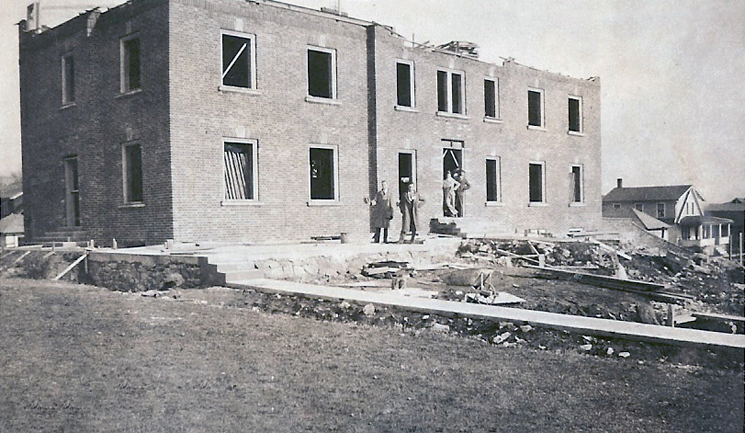 On April 6, 1918, the change was formally announced to the other fraternities by a smoker and reception at the chapter house. Shortly afterwards Phi Tau Alpha was admitted to the Intra-Mural Council, this marking the final step in the official recognition by the fraternities of the Pennsylvania State College. 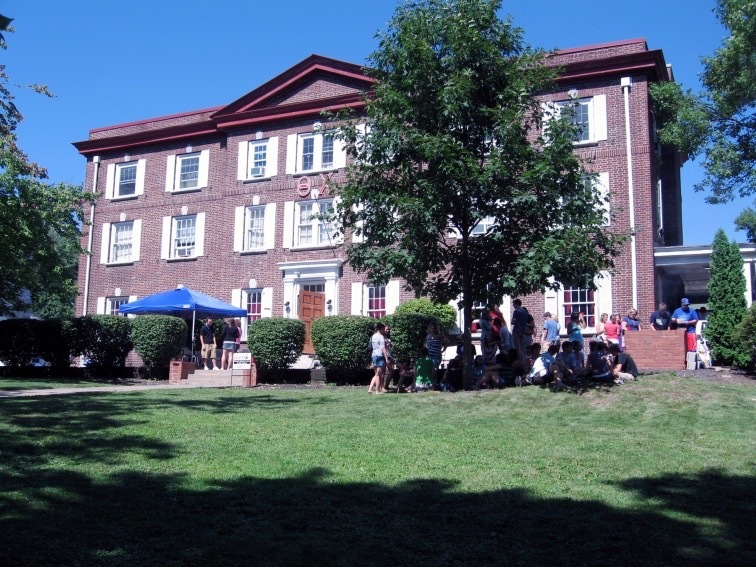 Members of Phi Tau Alpha researched different national fraternities and Theta Chi rose to the top of their lists of finalists as it was the oldest and had the best record and reputation. 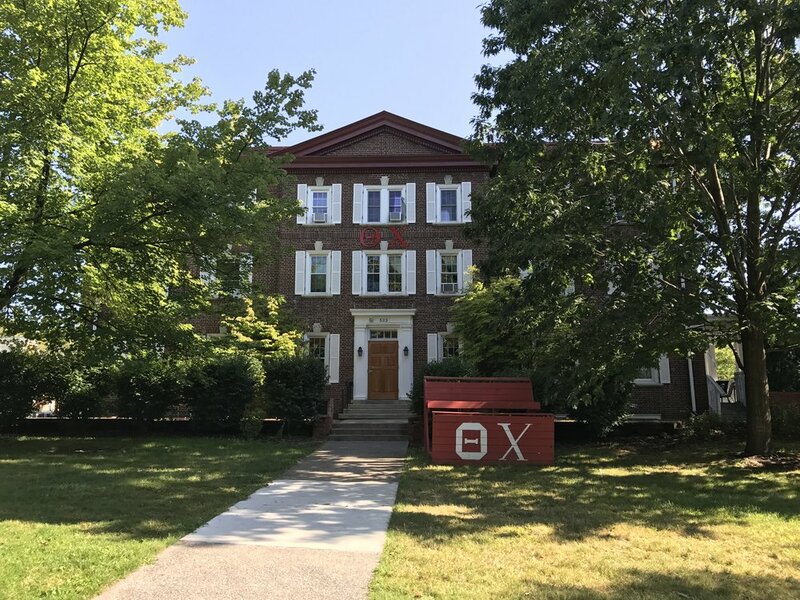 Phi Tau Alpha members Raymond Poeppel and William Thompson had a friend who was a Theta Chi at Kappa Chapter at the University of Pennsylvania and they were convinced that Theta Chi was the best choice. Phi Tau Alpha reached out to the Grand Chapter of Theta Chi Fraternity expressing interest in affiliation and were subsequently visited by National Secretary Frederick W. Ladue and representatives from Kappa/Pennsylvania, Lambda/Cornell, and Pi/Dickinson. Following the visit, Theta Chi advised Phi Tau Alpha to submit a formal petition for installation. 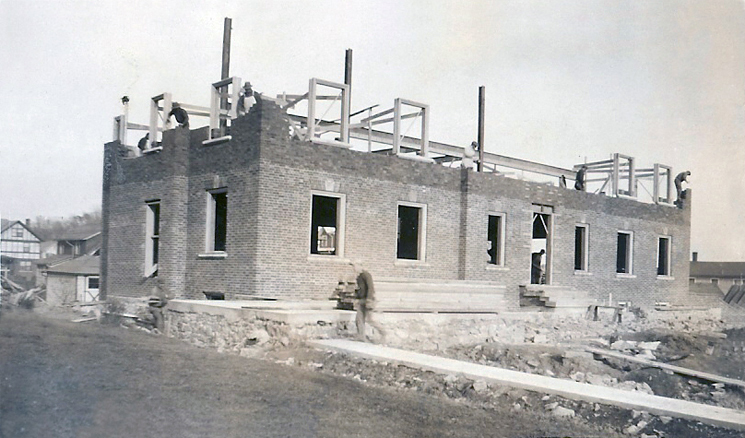 On February 25, 1919, National Secretary Frederick W. Ladue informed Phi Tau Alpha that their petition had been approved and that plans would be made to install the chapter in the weeks ahead. It is interesting to note that another local fraternity at Penn State was petitioning Theta Chi at the same time as Phi Tau Alpha. 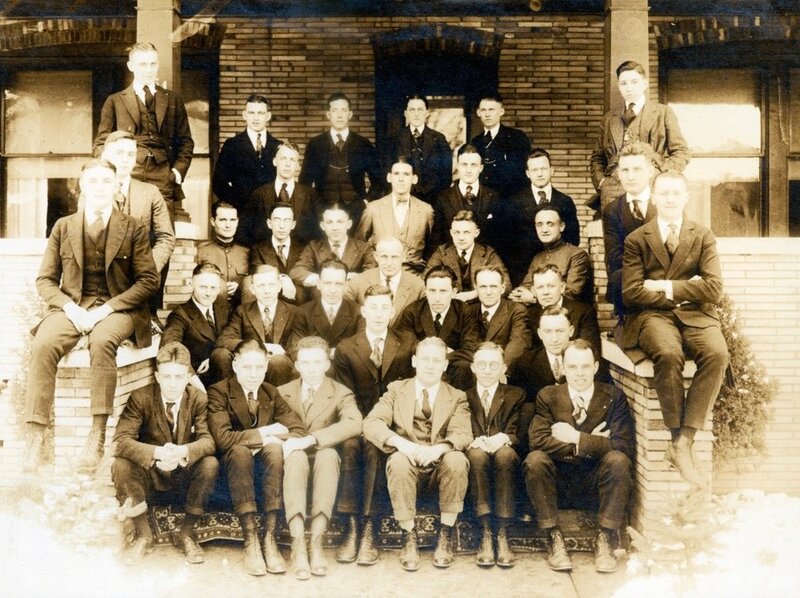 Phi Tau Alpha became the Omega Chapter of Theta Chi on March 14, 1919. The Installation Committee was chaired by National Secretary Fred W. Ladue (Iota/Colgate 1912) and was composed of Earl R. Scrafford (Delta/RPI 1909), Herbert D. Leary (Gamma/Maine 1910), W. Howard Gottlieb (Kappa/Pennsylvania 1919), and Clarence R. Anderson (Pi/Dickinson 1909). 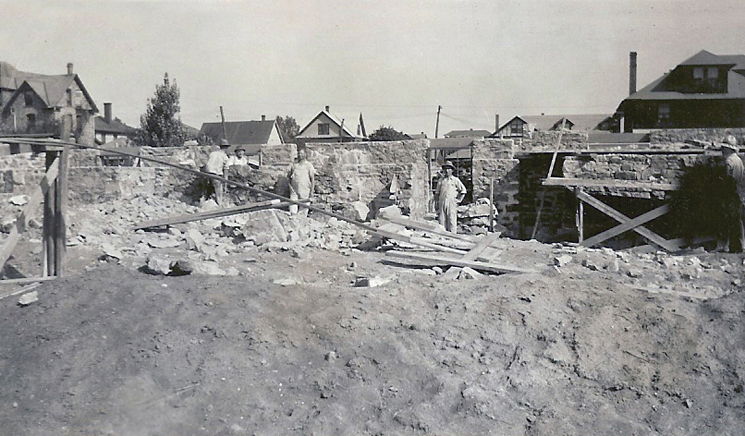 The installation began at 7:30 p.m. Friday, March 14, 1919 and was completed around midnight. Winfield E. Smith was elected and installed as Omega’s first Chapter President. After adjourning for the night, all remaining ritual work was completed by 5:00 p.m. on Saturday prior to the installation banquet. The installation banquet was held in the chapter house on the evening of March 15 and served the following menu: Penn State Cocktail, Center County Consomme, Baked Shingletown Trout, Roast MacHall Chicken, S. A. T. C. Potatoes, Nittany Valley Filling, Green Navy Peas, Co-ed Sauce, Old Main Salad, Ice Cream a la Phi Tau Alpha, Lemont Bits, Bonbons au Gorgo, Danville Nuts, State College Demi Tasse, and Bellefonte Central Smokes. According to records, such a menu had never been seen before or since, but was evidently greatly enjoyed by those present. The Charter Members of Omega Chapter are: Fred F. Bastian (1922), Clifford E. Beaven (1921), Ellwood B. Cassel (1919), George W. Chapman (1920), Charles A. Frederickson, Jr. (1920), Frederick J. Fuchs (1921), Maurice E. Kressly (1915), Donald E. Magill (1922), Murrell D. McKinstry (1920), Russell B. Nesbitt (1914), Robert E. Ockford (1922), Emil A. Petzold (1924), Anthony V. Pickard (1921), Raymond B. Poeppel (1920), Ellwood J. Rittenhouse (1920), Joseph E. Rowe (1910), Albert F. Schoeppe (1920), Walter E. Segl (1921), William W. Seltzer (1921), Walter B. Shaw (1921), William J. Shaw, Jr. (1921), John R. Skeen (1921), Winfield F. Smith (1919), William L. Sowden, Jr. (1922), Ralph D. Stauffer (1921), William C. Thompson (1919), Frederick T. Vansant (1920), and Hugo E. Zetterlof (1922). Two of Omega’s Charter Members made notable achievements: Dr. Joesph E. Rowe (1910) would become President of Clarkson University in Potsdam, NY (home of Delta Sigma Chapter) and George W. Chapman (1920) notably served Theta Chi Fraternity in a number of capacities: as the first Regional Counselor, the key developer of the School of Fraternity Practices, for nine years on the Grand Chapter as National Marshal and National Treasurer, and as Executive Director from 1948-1967. During Chapman’s tenure as Executive Director, Theta Chi experienced a period of unprecedented growth, with 75 chapter (re)installed. He also authored and edited the first edition The Manual of Theta Chi Fraternity in 1947. George Chapman also chaired the inaugural meeting of The Order of The Arrow, the national honor society of the Boy Scouts of America. In the decades to come, Omega would produce additional notable alumni, including, Robert E. Eberly (1939), Former Chairman of Eberly Natural Gas Co. and namesake of the Eberly School of Science at Penn State and the Eberly School of Business at IUP; and Past Theta Chi Fraternity Inter/National President and former Executive Director, Howard R. Alter, Jr. (1941). Congratulations to the alumni and collegiate brothers of Omega Chapter on 100 years at Penn State! You can send personal notes of congratulations to Omega Chapter President Carson Schulz by clicking here. Omega alumni are planning to host a formal Centennial Celebration during this fall's Homecoming at Penn State, October 4-5, 2019. For more information, on Omega’s Centennial Celebration, click here. In honor of their Centennial Celebration, we are re-printing the original article on Omega Chapter's Installation from the April 1919 issue of The Rattle. The Installation Committee arrived at State College about noon on March 14th, and was met at the station by a delegation from Phi Tau Alpha. After the introductions and a visit to the chapter house, a sight-seeing party was organized for a short trip around the beautiful campus and the nearby town. Upon returning to the house, which is very pleasantly and conveniently situated about two blocks from the main entrance to the campus, the Committee got down to business. The necessary paraphernalia was checked over and the remainder of the afternoon spent in preliminary arrangements. Shortly after dinner, the hall was prepared and the ceremonies started at 7:30, with Fred Ladue, Iota, chairman, assisted by the following committee: Earle Scrafford, Delta; Herbert D. Leary, Gamma; W. Howard Gottlieb, Kappa; Dr. Anderson, Pi. After the opening exercises the ritual for installation was followed and in due course the ceremony performed. New officers were then elected and installed and a short meeting held. The meeting closed in the regular form shortly after midnight. Saturday morning, the committee instructed the officers of the chapter in the minute details of their various duties. After lunch, the committee put the brothers through the initiative degrees for new members and the chapter installation was complete by five o'clock, in time for the initiatory banquet. Alumni–Winfield F. Smith, of Philadelphia; Maurice E. Kressly, of State College; Joseph E. Rowe, of State College; Russell B. Nesbitt, of State College. Albert F. Schoeppe, of Philadelphia; Ellwood B. Cassel, of Philadelphia; Ellwood B. Rittenhouse, of Philadelphia; William C. Thompson, of Philadelphia; George W. F. Chapman, of Philadelphia; Charles Frederickson, Jr., of Philadelphia; Murrell D. McKinstry, of Hatiboro, Pa.; Raymond B. Poeppel, of Philadelphia; Frederick T. Vansant, of Philadelphia; Clifford E. Beavan, of Philadelphia; Frederick J. Fuchs, of Philadelphia; Emil A. Petzold, of Philadelphia; Anthony V. Pickard, of Philadelphia; Walter E. Segl, of Philadelphia; William W. Seltzer, of Coatesville, Pa.; Wnlter B. Shaw, of Philadelphia; William J. Shaw, 3rd, of Philadelphia; John R. Skeen, of Philadelphia; Ralph D. Stauffer, of Reading, Pa.; Theodore G. Smith, of Philadelphia; Fred F. Bastian, of Berlin, Pa.; Donald E. Magill, New Hope, Pa.; Robert E. Ockford, Philadelphia; William L. Sowden, Jr., of Philadelphia; Hugo E. Zetterlof, of Philadelphia. The banquet table was set for 5:30 and by this time several more visiting brothers had arrived, among them being Capt. James Beazly, Kappa, and Brother Harris, Pi. The banquet hour passed very pleasantly, the college and fraternity songs being giveen with great enthusiasm and spirit. Words - G. W.F. C.
Music - W. B. S.
And of the joy of college days. Helps to swell thy fame. Following the custom of the institution, a smoker was held at the Chapter House, after the banquet. All the fraternities on the campus were invited to attend and become acquainted with the new chapter, its alumni and visiting brothers. The smoker was a great social success and lasted until the wee sma' hours. In concluding the report of the installation, the committee wishes to say for the benefit of the fraternity at large that Omega Chapter enters upon her career as a member of ΘX with as brilliant prospects for the future as any chapter ever installed. They have the college, the location, the house, the members and the spirit, and should make one of the best chapters of the best fraternity in the country, and we assure the members that ΘX is as proud of them as they are of ΘX. Today Omega Chapter of Theta Chi Fraternity celebrates its 100th Anniversary of joining Theta Chi Fraternity. Alex A. Gregal, 87, of State College, Pennsylvania, passed away surrounded by family on January 29, 2019 in Irvine, California. Alex was born on November 28, 1931 in Osceola Mills, PA, to Luby and Alexander (Pops) Gregal and grew up in Houtzdale, PA.
Alex graduated from Penn State University in 1954. While at PSU, he was president of the Theta Chi Fraternity Players Social Club, was a member of ROTC and made many friends and memories during his four years as the Nittany Lion mascot. Alex later earned the rank of Lieutenant Colonel in the U.S. Airforce, Air National Guard and U.S. Airforce Reserves. He bravely flew wounded and dead soldiers out of Vietnam, earning the National Defense Service Medal. In civilian life, Alex was a corporate pilot, co-owned an airport in New Castle, PA called Castle Aviation, was a top seller for Beechcraft Aircraft, and eventually started his own aviation sales company, Fortune-Aire. Alex was the president of the Youngstown Chapter of the Penn State Alumni Association for many years. He enjoyed fly fishing, gardening, making wine, watching Fox News, traveling in his motor home, tailgating with his family and friends at ALL the Penn State home games, martinis, and pretty much any good party he could find or inspire. Alex married the late Joan (Cestone) Gregal, and together they had three daughters. He later married the late Juanita (Holencik) Gregal. In addition to Joan, Juanita and his parents, Alex was preceded in death by his brothers, Frank and David; and sister, Carol. Alex is survived by his daughters, Carol (Dan) Howard, Elizabeth Gregal, and Allison (Scott) Novosel; sister, Anna Mae Reifer; brother, Michael Gregal; grandchildren, Alex Howard, Hannah Howard, Dominic Stephens, Ian Novosel, and Cooper Novosel; and many loving nieces, nephews and extended family members. Services will be held in State College this spring. Following a memorial Mass, friends and family will be invited to a tailgate to celebrate Alex's life. Specifics will be shared on this site closer to the date. Alex will later be buried alongside his loving wife of 26 years, Joan Gregal, at Poland Riverside Cemetery in Poland, Ohio. In lieu of flowers, the family invites donations in Alex Gregal's name to Catholic Charities and the Michael J. Fox Foundation for Parkinson's Research. Brothers Kirkegaard, Burke, and Wallace will join Brothers Jonas, Maxwell, and myself to comprise the 2019 Alumni Board of Directors for our chapter. They will begin their two-year term effective immediately. We truly appreciate those of you who took the time to vote in our recent election. Per our chapter Bylaws, the next election will take place in Fall of this year (2019), where Brothers Jonas, Maxwell, and I will be up for re-election. If you participated (or intentionally did not participate), please provide us with feedback regarding your voting experience this election cycle. We want to hear your thoughts on the new process in order to seek continuous improvement, and to better reach all of you. 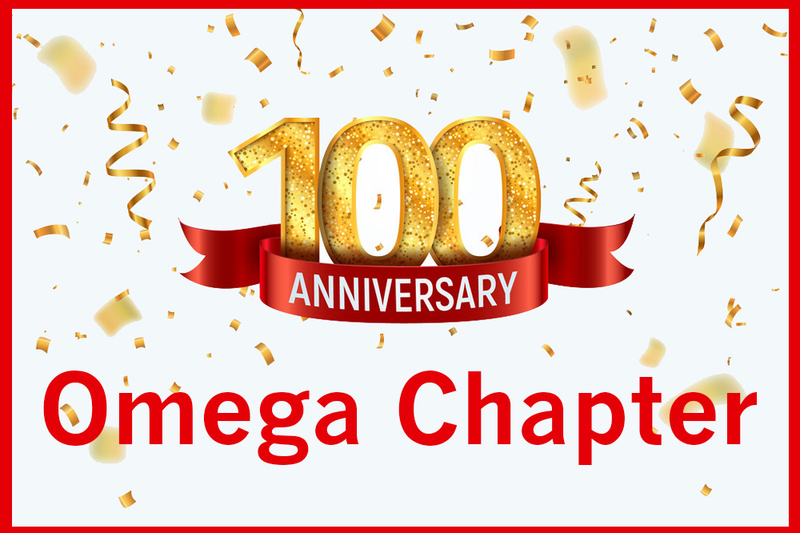 As you may have seen on our social media pages and website, Omega Chapter is celebrating our Centennial year this year! Mark your calendars for Homecoming Weekend (TBD, usually mid-October), and keep an eye out for additional information as we send it out via our website and social media pages. We are planning various events in State College through the weekend (Friday through Sunday). If you have any interest in helping with planning efforts for the event- packed weekend, please reach out to me via the email address below. With the new Election cycle, I was selected by the other board members to serve as the next Alumni President. I look forward to continuing to serve our chapter with the other board members, alumni advisory board members, our numerous active alumni, and our undergraduate members. I intend to refocus our attention to strengthening the social bonds of brotherhood in the coming months and years. We faced significant challenges recently and I look forward to meeting those and future challenges head on for the betterment of our chapter. I aim to be as transparent as possible, and am always open to questions, comments, and criticism. If at any point you wish to reach me, please feel free to email me at the address below. For those that prefer to communicate via phone, I will provide my personal cell number upon request. I look forward to meeting more of you and seeing you at our upcoming centennial celebration! We have been honored to call these men our Brothers. The condolences of Theta Chi’s extended worldwide family are offered to the family and friends of our deceased brother. Dean was born on November 26, 1923 and passed away on Monday, October 2, 2017. Dean was a resident of Billings, Montana at the time of passing. Dean went on to earn two undergraduate degrees, one in chemistry from Cal. August 1944, Dean enlisted in the United States Army, 383rd Infantry, 96th Division, Company E. and was deployed to the Okinawa beachhead May 1, 1945. Funeral services will be held 12:00pm Wednesday, October 11, 2017 at Trinity Lutheran Church in Billings. Committal services will follow at Yellowstone National Veterans Cemetery. John was born on February 11, 1933 and passed away on Wednesday, August 29, 2018. John was a resident of North Carolina at the time of passing. John attended Penn State University and graduated with honors, earning a degree in Electrical Engineering. Following in his family's footsteps, he served in the United States Army and was a descendant of General John "Blackjack" Pershing. John Harrison Pershing Mr. John Harrison Pershing, 85, passed away Wednesday, August 29, 2018 at Wake Forest Baptist Medical Center. A funeral service will be held at 12:00 PM Saturday September 1, 2018 at Hayworth-Miller Silas Creek Chapel with the Rev. Doug Klein officiating. Interment will follow at Forsyth Memorial Park. The family will receive friends one hour prior to the service at the funeral home. The family wishes to express their sincere appreciation to the Doctors and Nurses at Wake Forest Baptist Medical Center Cardiology Unit for the attentive and loving care given to Mr. Pershing. Wayne J. Bullock, husband of almost 49 years to Margaret (Peggy) A. Evolo-Bullock, of Royersford, and formerly of Lake Harmony, passed away at his home on Saturday, August 25, 2018. He was 68. Born on December 22, 1949 in Norwood, Pennsylvania, he was a son of the late Bertha (Johnson) Bullock. 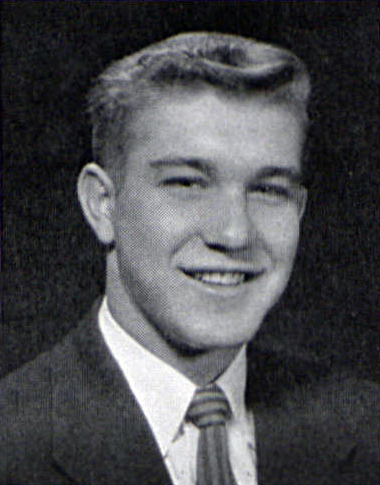 After graduating Interboro High School, he earned a Bachelor's Degree from Penn State University in 1971. Shortly after college graduation he started his first business in billboard advertising in the Hershey and Lancaster area. In the 1980's, he moved to cable advertising where he held long a career as an executive with Cable Adnet and Star Net, where he was recognized and won several awards as a pioneer in the cable advertising business. In the mid-90's he pursued his own entrepreneurial endeavors before being diagnosed with Multiple Sclerosis in 2000. They moved full time to Lake Harmony, PA where Wayne and his wife and family enjoyed many years on the lake. He enjoyed being a grandfather and loved entertaining family and friends. In addition to his wife, Wayne is survived by Son, Wayne Bullock, II of Philadelphia; Daughter, Kimberly, wife of Russell Kingsbury of Phoenixville, PA; and Grandchildren: Jake, James and Christopher Bullock, Tyler, Andrew and Kevin Kingsbury. Per his wishes, the family will celebrate Wayne's life with private services. In lieu of flowers, contributions may be made to the Lake Harmony Rescue Squad (PO Box 564, Lake Harmony, PA 18624). Condolences may be offered to the family by visiting www.PhoenixvilleFuneralHome.com. Arrangements are being handled by the Campbell - Ennis - Klotzbach Funeral Home, Inc., Phoenixville, Pennsylvania. In lieu of flowers, contributions may be made to the Lake Harmony Rescue Squad (PO Box 564, Lake Harmony, PA 18624). We like to thank all of you who donated this year. 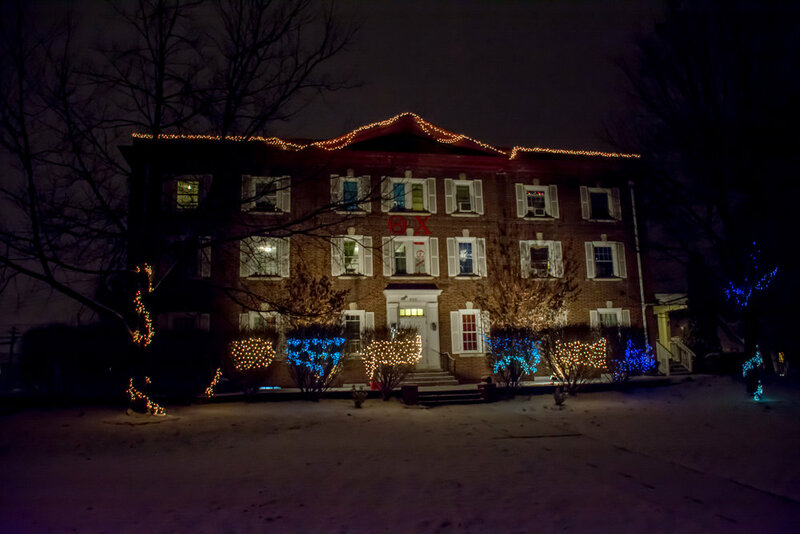 Your generous support means a great deal to Theta Chi. Thanks to you, and a growing number of other Alumni who have responded with similar gifts, we are able to do more to support our fraternity and continue to keep Theta Chi competitive with the fraternity system at Penn State. The latest edition of the Rattle is available online at the National website. Read about what is going on with other chapters around the country and see what is doing with our National fraternity. I am pleased to announce that nominations are now open for the Alumni Board of Theta Chi of Penn State. If you continue to value the experience that Omega chapter has provided for you and for others for more than 90 years, consider nominating yourself or another brother to serve a two-year term on the Alumni Board of Directors. The alumni board serves the alumni brotherhood and undergraduates in a variety of ways. We coordinate alumni communications, plan annual events and reunions, manage the chapter property, provide short-term and long-term financial planning, and help to advise and support the active chapter. Engaged alumni volunteers are essential to a well-run fraternity. As many of you may already know, Greek Life at Penn State has undergone significant changes in recent years due to the horrific incident at Beta Theta Pi. With these sweeping changes come a whole new set of challenges for our chapter and the way we operate. Our brotherhood continues to be in great need of collaboration and strong leadership to help us prevail and thrive through these new challenges to our Chapter and Greek life at Penn State as a whole. Serving on the board is a great opportunity to meet and get to know brothers from different eras, to be invited to Theta Chi leadership and networking conferences both regionally and nationally, and to stay in touch with the undergraduate chapter and membership. Some of you may feel that you don't have the required experience or expertise to serve on the board. We urge you to toss that thought aside and volunteer if you have passion for your chapter as many of our alumni do. What's most important is that you are willing to invest a bit of your time and energy in support of the chapter and the experience that we aim to provide. By bringing together brothers with a variety of skill sets and a willing spirit, we can continue to offer a helping hand to our members for many years to come. Please consider nominating yourself or another brother to serve in this essential role. Nominations can be submitted to me via email at a.speags@gmail.com and will be accepted through November 11th. If nominating another brother, please include their current phone number or email so that they may accept their nomination. Thank you for your time. Senior Staff Engineer, EPM Inc. The Fall Corporation meeting will be held on Sunday, October 28, 2018 at 10:30am at the chapter house (this is Iowa game weekend and not Homecoming weekend), all are welcome and encouraged to attend. Elections for Executive Board of Directors will be held at the corporation meeting (3 new board members, per the 2016 bylaw changes). Additional information about nominations and elections will be sent out shortly. We look forward to seeing as many of you at the chapter house this fall.